In an article entitled, The Abomination of our Fathers, Rev. Stephanou writes, “The church appears to be very busy, but in things that are secular and that engage her time in activities of this world." Rev. Stephanou then cites the words spoken by Christ to Martha, “You care and are troubled by many things, but there is need only for one thing. (Luke 10:41)” The one thing is Christ! As Great Lent 2017 dawns, it is important that we take an inventory of our Spiritual investment. How focused on Christ are we as a Community? It seems that we can focus on budgets, financial statements, festivals, and dinner dances, but how do we fare when it comes to worshiping, glorifying and praising our God? Do we strive to fully please God in our actions? Are we focused? Recently, during a Sunday Morning Liturgy, the Church was full and I mentioned to the Acolytes, prior to an entrance, how pleased I was to see the Church full in the middle of the winter and, also, admitted that I didn’t recognize one third of those attending. It was a joyful moment! The Liturgy continued and we glorified God in prayer and song. One thing . . . . CHRIST! Serving Him! Glorifying Him! Committing ourselves to Him! How well do we do these things? This community is blessed with so many brilliant professionals that share their talents with the Church Administration to help run a terrifically organized operation. It is apparent by the level of this professionalism how our Church excels. Oh, but how I wish on the last day we were judged by the quality of our Festivals, the dignity of our financial statements and the detailed precision of our budgets! Do not misunderstand me, these things are important, they keep the lights on and keep us afloat. It is imperative, though, that we evaluate our priorities in Christ! Why do we have a festival? Why do we have financial concerns? What is our budget for? To glorify Christ! To serve Christ! To show our commitment to Christ! Regular and prompt attendance at Sunday Divine Liturgy. Regular indicates consisted attendance and prompt means being on time. We are on time for our soccer games, for work and school, and never pay $10 to walk into a movie 20 minutes late. It is time for us to reset Sunday as a “Day of Worship,” literally, “The Lord’s Day.” Services begin at 9:00 AM with Orthros. 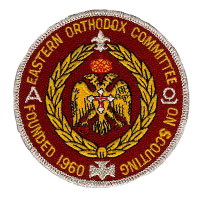 Orthros is a wonderful service, you should attend, but if you cannot, please arrive at 9:45 to prepare for Divine Liturgy. Daily Prayers. For our community to be focused on Christ, each of us, individually, needs to be set on Christ. Each day should begin with an intimate and personal conversation with Christ, TRUE PRAYER! Ten minutes in the morning, ten minutes in the evening. Prayer should also be offered before meals. As you pray over your food, 2 things should be included: 1.) Offering thanks to God for the blessings in your life, and 2.) A remembrance of the less fortunate. Volunteer! Join, sign-up, or assist with a ministry of the Church. Consider joining our Choir, Philoptochos, teach Sunday School, or offer your time to help plan and organize one of our many fundraisers. Educate yourself in the Word of God. Reading the Gospels and meditating on God’s Word is essential to Christian growth. Come to our Orthodox Study Classes after Pre-Sanctified Liturgy on Wednesday evenings and read the Bible daily. Forgiveness. Mend relationships that for one reason or another have deteriorated. Ask for and seek to offer forgiveness. Do not wait for the other person, you be the mature one and offer reconciliation. It is easy for us to make ourselves feel busy and active in a Church with so many things and events happening, but the purpose of these “things” and “events” are to help us grow in Christ. Mother Teresa once walked out of a Christian conference on Mission and Evangelism in utter disgust. When asked why she left in the middle of the presentation, the saintly woman kindly responded, “Enough talk, let’s get to work.” Enough talk. 1. Attend services, and be on time. As Christians, we are always in the process of “becoming.” The person I am today is not the same person I was 10 years ago, nor am I, who I believe I will be 10 years from now. One of the most significant spiritual events in my life was the birth of my firstborn son, Harrison. My wife, Christie, was induced, so his birth was planned and not a fire drill. As this new life came into the world I burst into tears as they put him in his mother’s arms. Here was new life, life that didn’t exist moments earlier, a miracle. However, it was not the miracle of birth that was the significant spiritual event, it was the thought that immediately followed: “God’s love for us is truly immense!” This little being that, having never spoken or acted in any way towards me, had just inherited my love. Having done nothing for me, I was prepared to die for him! I was in love! I understood, on a microlevel, what God’s love for us is. The new standard given to us by Christ is the source of measurement I attempt to implement in my life. What is man’s greatest need? Love. Based on Maslow's Hierarchy of Needs, after food, shelter, and security, love is what man craves most. Ministry should fulfill the need of love. The programs at the St. Demetrios are founded on Christ’s love for us and our love for our neighbor. Bible study groups, Youth Ministry meetings, service at the local Rescue Mission, and Parish Council, etc. are all founded on the principle of love. As I serve the faithful, I am reminded of God’s love for me through the relation-ships built with the flock. Our Lord has entrusted me to serve you with love. Although I continually find myself in error and mistake, I always endeavor to imitate God’s love. It was that simple, yet profound moment, when my firstborn child came into the world that best illustrates this lesson. It was an experience unlike any other that changed my perspective on many matters in my life and ministry. Have you been greeted with the question, “Are you saved?” The question is well intentioned, but what is the Orthodox reply? To simply say, “yes,” would give a speedy conclusion to the interrogation, but would not reveal the fullness of the true Orthodox teaching of salvation. The three stages of salvation in the Orthodox Christian Church are past, present and future. A more specific response to, “Are you saved?” would be, “I was saved, I am being saved, and I will be saved.” The road towards eternal life is an ongoing process to the Orthodox Christian. Salvation is not a one-time deal; it is a course of action that we maintain on a daily basis. We were saved by Christ’s death on the cross, we are saved during our daily walk with Christ and we will be saved at the end of time. The three stages of Salvation are, through Baptism we are justified, during our daily walk with Christ we are sanctified, and in the end times, with Christ, we will be glorified. St. Paul explains that, “We are saved by grace through faith. (Ephesians 2:8)” Grace is God’s gift to us. Faith is our reception of that gift. Without God’s Grace and Mercy, we cannot be saved. Basically, our salvation depends strictly on God’s compassion; there is nothing we can do to earn salvation. The best way to respond to this question is to break it down into its components. “Is everyone saved at birth through God’s grace?” At the service of the Forty-Day Churching of a child, the Priest prays, “So that when the child is made worthy of Holy Baptism, it may gain the portion of the elect of Your Kingdom, safeguarded with us by the grace of the Holy Trinity.” We receive God’s grace at Baptism; this is the first step in attaining God’s gift of grace and entering salvation. “All we need is faith to be saved?” Yes, but this leads to the classic Christian debate of “are we saved by works or by faith?” Our faith in Christ produces fruits, those fruits then are the good works we display during our daily walk with Christ. Therefore, faith and work go hand in hand. Our faith in God and our love for Him produce good works. What is the point of at-tending Church, learning more about religion and following Christ's way? First, as mentioned earlier, God’s gift of grace is given at the Sacrament of Baptism. Baptism is grant-ed because of active participation in the life of the Church. When a child is brought to be baptized an adult (sponsor) stands for the child and promises to live according to Christ’s commands, just as an adult would do when entering the Sacrament. Second, we must remember that nothing we do is worthy of God’s Grace, the reason for attending Church and following Christ’s way is to communicate with God, to receive His grace, and to find sustenance for our daily walk with Him. Some live by the time-worn excuse that “you don’t have to go to church to be a good Christian.” Christ Himself found it important to attend and participate in weekly worship, so by what bench-mark do we feel that we are entitled to do less? At the Last Supper the Lord said, “Do this in remembrance of me.” We some-times say it is our duty to go to church, and it is; but few go for this reason. I would prefer that no one come to church out of a sense of duty. A duty-bound Christian is not a committed soul. The ones who come just from a sense of duty come to criticize. They won't sense the presence of God. The Orthodox church building represents God amongst His people. Our attendance is for communion with Him. When we gather as a Church, that is God’s people, we gather in communion with one another and with Him. Christ tells us in Matthew 18:20, “Where two or three are gathered in my name, I am there in the midst of them.” Sacraments are offered through the Orthodox Church. Through the Sacraments we grow closer to Christ. It is at the Church where we receive Baptism, Chrismation, Unction, Communion and Confession (the five mandatory Sacraments). It is the Church that gives us instruction for the way in which we are to imitate Christ. Can you call yourself a Christian devoid of attending weekly services? Yes. But consider this, could you play on a baseball team and in a game of base-ball without practicing? Yes, but without practice, where do you get your instruction, preparation and fellowship with your team-mates? Going to Church gives us nourishment for life’s challenges. Salvation is God’s gift to man, as abundant as it is, man must be willing to accept it. Receiving this grace is faith and faith is “Forsaking All I Take Him (F-A-I-T-H).” Are you saved? Yes, we have been, we are being, and we will be saved! Who are the Magi and what can we offer our Infant Savior? Magi is the plural form of the word “Magus.” What, then, is a Magus? In Webster’s Third New International Dictionary the following two definitions are given: 1) a member of a hereditary priestly class among the ancient Medes and Persians whose doctrines include a belief in astrology; one of the traditionally three wise men from the East who according to the Gospel of Matthew paid homage to the infant Jesus 2) an adept in occult arts: magician, sorcerer. At first glance a faithful Christian may be disturbed with the description of the Magi as “sorcerers or magicians.” This seems to be a conflicting message. By today’s standards a person amused by sorcery and magic does not fit the definition of a Christian. Since as putting your hope and trust in anything other than Christ leaves little room to follow His instruction. Giving credence to such belief closes the door on the Christian values. The other definitions of the Magi seem to fit our understanding of the Nativity of Christ. The Magi were priests, they are mentioned in the Gospel of St. Matthew, and they had a good understanding of astrology. Why does St. Matthew mention the wise men in his description of the birth of Jesus? Christ’s entrance into this world and His human nature are all foretold by the Prophets. Jesus Christ fulfills the will of God and all the scripture from the Law and the Prophets. A star is revealed to the Magi, who live in the east, inspiring them to seek out the Christ child. When they approach King Herod with their desire to see the Infant King, they remind Herod of the writings of the Prophet Micah who exclaimed, “But you, O Bethlehem . . . from you shall come a ruler who will govern my people Israel.” Herod then sends them out to find the baby Jesus. Matthew’s mention of the actions of the Magi be-comes clearer when we focus on their conduct as they encounter the “place where the child was.” “They fell down and worshipped Him. Then, opening their treasures, they offered Him gifts, gold, frankincense, and myrrh. (Matthew 2:11)” Three of the wisest men in all of Judea knelt before an infant! An infant who had no words of wisdom to share, they knelt before him, gave praise, and offered gifts. St. Mat-thews mention of the Magi is an exhibition in humility. A great sign was revealed to these intelligent priests, and through faith, they sought after the Savior offering their treasure. They abandoned the superstitions of their forefathers and find new life in Christ! What are gold, frankincense, and myrrh, and what is their significance? Frankincense was a very valuable commodity in ancient times. It is an incense taken from the gum resin of east African or Arabian trees. Myrrh is a yellow to reddish brown aromatic bitter gum resin that is also obtained from trees found in east Africa or Arabic countries. In ancient times people used myrrh as the chief ingredient for a sweet smelling perfume and a remedy for a local application. Gold represents extreme value, and is one of the most desirable minerals of all time. The hymns chanted on the feast day of the Nativity make very few references to the crucifixion and death of Jesus. They mainly concentrate on Christ, the Word of God, “the Logos,” taking on flesh and entering the world in human form. The gifts of the Magi are mentioned in hymns chanted on the day after Christmas. In those hymns the gifts make reference to the three days Christ spends in the tomb. Gold, the most celebrated earthly possession, rising to heaven with the two, very valuable, forms of incense (frankincense and myrrh). What can we offer the Infant Savior this Christ-mas? Like the Magi, let us first offer our humility by acknowledging His divinity. Let’s fall down before Him and worship Christ God. The Magi were renewed by the Birth of Jesus. When they left the cave, the birthplace of our Lord, they also left behind their former practices of sorcery and magic. They were renewed by the nativity of our Lord. Let us take the example of the three wise men and leave behind our evil ways. Lets abandon our attachment to the devices of this world and seek out the peace of God. Lets renew ourselves with the Birth of our Lord! They’re right. Stay home and rest. That is exactly what Sunday is for, being home and resting. Certainly, this truly depends on your definition of “home” and “rest.” Isaiah 44 warns, “17 From the rest he makes a god, his idol; he bows down to it and worships. We should redefine rest and must plan our time wisely. I was once told that Sunday is the only day of the week that laundry can be done. “Father, my week is so hectic that I just can’t be in Church on Sunday. I need the morning to rest and the day to complete tasks.” This interpretation of the Church, trivializes our worship and the Divine Liturgy. To our children it conveys a message that Church is trivial and insignificant. Our faith in God serves as a source of energy and vitality. It must be anchored in our Church. We read in the 59th Psalm, “O my Strength, I sing praise to you; you, O God, are my fortress, my loving God.” Recall the comic book, “The Green Lantern.” This superhero has a Power Battery that is used to recharge the ring every twenty four hours. Certainly, we need recharging too. The Divine Liturgy is exactly that, a source of power and solitude. An opportunity to reconnect and refresh ourselves in Christ. The Church, in Her infinite wisdom, declares that the Divine Liturgy’s central focus is the reception of Holy Communion. This “Comeunion” nourishes and strengthens us through the remission of sins and the promise of everlasting life. This is the reason why the Church prescribes Divine Liturgy be celebrated at least once a week. Don’t allow simple tasks and errands keep you from participating in the Divine Liturgy. Do not allow the season to dictate how you spend your time renewing yourself in Christ. 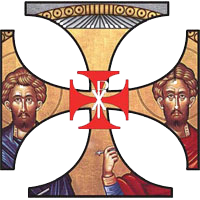 Sanctify the hours of 9:00 am – 12:00 noon every Sunday as your time with God and fellow Orthodox Christians. As kids prepare to return to school, it reminds me of the classic project teachers assign students, “Write a reflection on what you did this Summer.” Ritualistically, I offer my recollection of a great summer experience. The Ionian Village experience offered an amazing assortment of opportunities to grow in my Faith. Following is a sample of what I encountered. I hope to share as much of the experience as I can in sermons, bible study classes, and future Myrrh-Bearer articles. Each day and each excursion to a new place, monastery, church, historical site, offered new insight as to how Orthodoxy plays a role and shapes us as believers. To sum up the entirety of the message I wish to convey, I saw firsthand, that our Orthodox Christian Faith is a living and dynamic Faith! About 2 miles from the Ionian Village (IV) campground sits a small convent, Panagia Eleousa, pronounced Panagia Eleusa and means, “The tenderness of the Virgin Mary.” The IV program tried to develop a relationship with the nuns that lived there, but it was unsuccessful. The nuns were not interested, and eventually the convent was abandoned. An icon of the Virgin Mary hung above a spring in a cave at the monastery for many years. As the facilities grew lifeless, a thief entered the cave and stole the icon above the spring. The water stopped and the monastery closed. The bishop of the area had a young priest that showed interest in breathing new life into the Holy grounds. That is exactly what Fr. George has done. Fr. George was assigned to the Monastery in Bartholomeo about 18 months ago. A relationship was fashioned between IV and the monastery. The Director of Ionian Village, Fr. Evagoras Constantinides, spoke of his witness of the dried wellspring. A few months into his assignment at the monastery, a woman found a picture of the original icon that sat above the now dried spring. Fr. George took the photo, enlarged it, framed it and positioned it in it’s original spot. “Within an hour,” exclaimed Fr. George, with great emotion, “the spring began to flow and the oil lamps in the chapel began to sway back and forth. The water has not stopped flowing since and the oil lamps rocked for about an hour that day.” As the entire camp crowded the small solea, Fr. George passionately shared this story to the entire camp. Pilgrims suffering from cancer come draw from the spring and later find themselves cured. He explained that many couples that suffered from infertility came to the monastery and drank from the well, later to find themselves with the blessing of a pregnancy. “I have baptized many children born to parents that were told they were not able to conceive. It is a miraculous fount.” Fr. George allowed the campers and staff to take water from the well. We all took sips of refreshment, receiving the blessings of God on that hot summers day. I was moved! Here was a living example of the power of our Christian Faith. I quizzed Fr. George and made him repeat the story to me once more as I analyzed each portion of what he revealed. He knew what I was doing, smiled and put his hand on my shoulder and said, “It’s the power of our Faith.” I asked him to pray for our community, for all those here suffering with cancer and hoping to bring life into this world. He promised to remember the request during the divine liturgies he would celebrate. The staff had a hard time peeling me away from Fr. George. Noticing my fixation, the campers also wanted to hear more from Fr. George. He built on the energy of excitement by inspiring us to stay true to our Faith Tradition. He encouraged the kids to seek spiritual assistance in times of trouble, to never hesitate to call on God and to realize that sometimes when you want something from your father, you have to ask your mother (explaining the importance of the intercessions of the Virgin Mary). We were all touched and provoked. As we returned to the bus and made our way back to the campgrounds, all I could think about was how one man’s service allowed the Holy Spirit to blossom. Fr. George stepped into a situation not many others would have even considered. He offered daily and fervent prayer and found the blessings bestowed to be insurmountable. There was no need to debate with him the scientific reasoning and arguments behind how the spring could have regenerated. It was the presence of God! His delight that Orthodoxy is established and flourishing in America was encouraging. He offered great inspiration and reminded us that the work done by the Church and its people is to be done in the name of Christ. His insistence that all things are possible when we place our hope and faith in God was contagious. My encounter with Fr. George, at this simple monastery, hidden in the wilderness of Bartholmeo, left me with a greater understanding of how ALIVE our Orthodox faith can be when we desire to participate in Her offerings. Summer is exciting for many reasons, kids are out of school, vacations are being planned, flowers are in bloom, and the sky is eternally clear and blue. The weather, is undoubtedly, hot; which indicates an importance to keep ourselves hydrated. Drinking water is beneficial on many levels: it helps with the hydration of internal organs, enabling them to function properly; the hydration of skin, keeping it looking fresh and healthy; weight control, it produces increased energy, helps flush out waste and toxins and it maintains our overall health. As good stewards of the gifts entrusted to us by God we must care for our bodies, not only physically, but spiritually, too. As the days get longer and we enjoy the season of summer, our Holy Orthodox Church prepares to celebrate Pentecost. This offers us an opportunity to reflect on the way we allow the Holy Spirit to work in our lives. Remember, Pentecost is the celebration of the Holy Spirit descending upon the Disciples of Christ 50 days after our Lord’s Resurrection. For fruit to grow the plant (or tree) must be properly maintained. Water is a key component. For the “fruit of the Spirit” to grow within us, we must nurture the “seed of love.” This is a difficult thing to do in a world where earthly pleasures are glorified. St. Paul prefaces the above mentioned passage to the Galatians by explaining (Gal 5:19-21), “The works of the flesh are adultery, fornication, uncleanness, lewdness, idolatry, sorcery, hatred, contentions, jealousies, outbursts of wrath, selfish ambitions, dissensions, heresies, envy, murders, drunkenness, and revelries.” There is no room in the life of a Christian for the works of the flesh. Properly maintaining the fruit of the Spirit transcends our personal relationship to God and extends to our relationship with each other. If we say we love God but have hatred, contentions, jealousies, outbursts of wrath, selfish ambitions, dissensions towards our brothers, we are deceiving ourselves (1 John 5:20). As we prepared to celebrate the great feast of Pentecost let us reflect on the way we allow the Holy Spirit to work in our lives. Do we sow the seeds of love, and strive to penetrate the works of the flesh? Nowhere, in every circumstance are we going to see eye-to-eye on every issue, but as children of God, sowers of the seeds of love, and Christians preparing to celebrate Pentecost we must walk arm-in-arm determined to grow in the Spirit! Preparing for a fishing expedition, I handed a copy of a map of the lake to each of my boys. It was a copy of an original and an old one at that. You could see the residue that accumulated on the copy print after print after print. We gathered our supplies, some tackle, snacks, drinks and a variety of activities to help us with our patience. Finally, I understood his point! He wanted to know why I was placing my faith in this map, trusting that it would help us to our destination. When we finally arrived at our fishing spot, we sat there for half a day and caught nothing, nada, zilch, not a bite! But all the while as we sat, waiting, I kept thinking about the exchange outside the Outpost earlier that day. Our Orthodox Faith is like a map. It helps us stay on track and helps lead us towards our destination, which is the entrance into God’s Kingdom. This life is not the end of our existence, merely the introduction to a never-ending, everlasting, eternal life with our Lord in His Kingdom. Do we take full advantage of the benefits our map (the Orthodox Faith) offers us? Or do we frame it for all to see, to enjoy its beauty, never really getting our hands on it, to study it, crinkle it and learn from it. Orthodoxy offers us the greatest expression of Christianity. Through the study of Holy Scripture, Sacred Tradition, and the determination to live a Sacramental Life, we have the tools to reach our destination. But do we compartmentalize our lives and wear our Church clothes on Sunday and take them off the rest of the week, not giving it another thought until the next Sunday? In Psalm 37:23 we read, “The Lord guides a man in the way he should go and protects those who please Him.” The Bible offers us a guide for life circumstances. It teaches us how to deal with anger, with our enemies, how to help others, and how to live like Christ. From the Tradition of the Church, our Church Fathers tell us in the Didache (The Teaching, an early manuscript of Christian writings) there are two ways to live: “One of life, and one of death, and there is a great difference between them.” The Didache goes deep into the teachings of Christ, expanding upon them, reminding us of the two great commandments, “Love God and love your neighbor as yourself.” Living Sacramentally is an essential aspect of imitating Christ. Everyone of the seven sacraments offers us the opportunity to restore our relationship with God (The Father, Son and Holy Spirit). 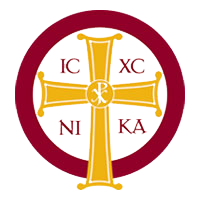 Baptism, Christmation, Eucharist, Unction, Marriage, Confession, and Ordination are all avenues towards the same location (note that marriage and ordination are the only two sacraments that are optional, Baptism and Chrismation are offered once and for all time, but as Orthodox Christians we are required to regularly participate in the Eucharist -communion, Confession and Unction.) The Sacraments reestablish our bond and connection with God. It is a way to secure of our spiritual foundation. No one builds a house without blueprints and it would be foolish to set out on a journey without first considering the destination. Every now and then we need to reset our compass and make sure we are on the right path. Where are we going and how do we get there are great questions. The answers are found in our Orthodox Church; Holy Scripture, Sacred Tradition and a Sacramental Life. Let’s reset and set your sights on the purpose of our being, finding communion with God in His Kingdom.